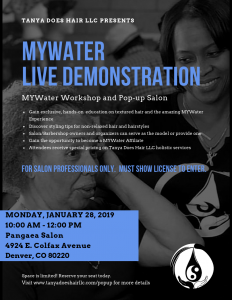 Attend a MYWater Popup Salon and Workshop. 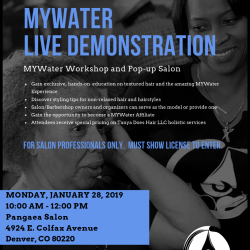 Get exclusive, hands-on education on textured hair and the amazing MYWater Experience. 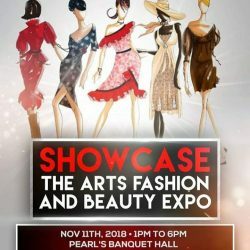 Showcase of The Arts Fashion And Beauty Expo Sunday, November 11, 2018 – 1PM to 6PM Pearl’s Banquet Hall-1455 S. Stapley Dr., Mesa, Arizona- Tanya Does Hair will be at Booth #31. Stop by and visit!